Hempleman-Adams’s attraction to far-flung landscapes underpins this capable portrayal of resilience. David Hempleman-Adams is a British industrialist and adventurer who scaled the world’s Seven Summits and walked to the geographic and magnetic poles—a feat known as the Explorer’s Grand Slam. He also broke world altitude records in both Rozière and hot-air balloons. 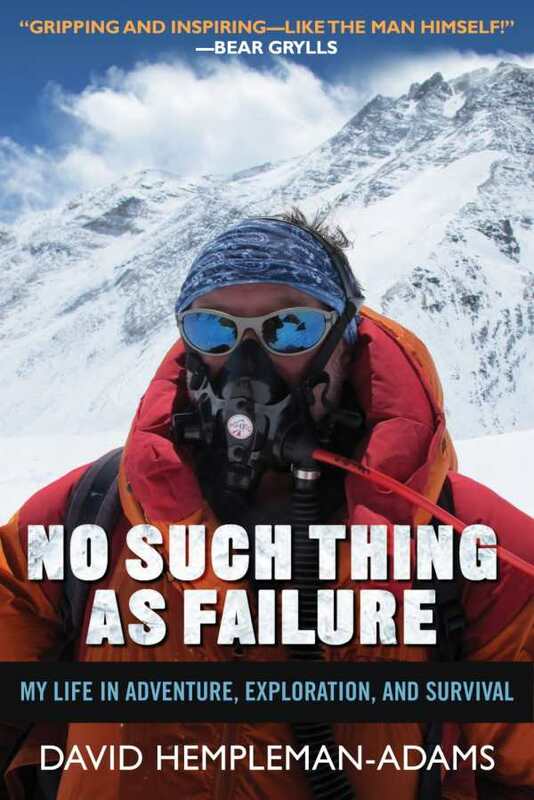 No Such Thing as Failure: My Life in Adventure, Exploration, and Survival recounts his dangerous experiences with matter-of-fact candor. What at first seems like an Alpha male’s foolhardy quest turns surprisingly eloquent in its examination of solitude. The book is divided into three sections, titled “Rock,” “Ice,“and “Air,” which detail Hempleman-Adams’s mountaineering, polar, and balloon journeys. Much of the focus remains on specific outings, spanning logistics, perils, encounters with native cultures abroad, and colleagues and friends who joined in or remotely supported his efforts. Hempleman-Adams, who does not claim to be a professional adventurer, but who has nonetheless made extreme adventures an avid pursuit, acknowledges the privilege of embarking on such costly journeys. His writing also reflects humility when it comes to facing limitations and appreciating the achievements of others. Occasional mentions of historic expeditions, forthright yet levelheaded comments on controversies such as the commercialization of Mt. Everest, and anecdotes from the field provide additional interest, though at times these slow the pace of the writing. The work is at its best when it captures the immediacy of harsh environments in the present tense, and when it portrays everyday deprivations and triumphs, particularly in the accomplished “Ice” section. Passages that feature Rune Gjeldenes, a Norwegian military man who accompanied Hempleman-Adams to the North Pole, create an especially rewarding portrait of brotherhood forged as much by circumstance as genuine respect. The back cover copy promises insights on what drives Hempleman-Adams. The memoir, however, seldom dwells on such philosophical matters. The implicit suggestion that risk takers may simply be born is enough rationale for this portrait of an unusual life. For outdoor enthusiasts and those who admire feats of determination, No Such Thing as Failure delivers dramatic tension.